No. 1801, Zhongwu Road, Changzhou, China. Postcard: 213001. The background and necessity of application of numerical simulation method in research on friction materials of automotive brake are analyzed. 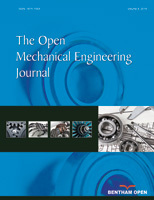 The numerical analysis methods of conversion of braking energy, distribution of friction heat, transfer of friction heat and thermal mechanical coupling, are discussed. The dynamic temperature field and thermal stress field of the same brake disc and two kinds of friction plates of different materials, which are the composite materials based on resin and the powder metallurgy based on copper, are simulated and analyzed respectively under emergency braking. The effect of friction materials’ performance on friction temperature and thermal stress distribution is obtained. The results show that the friction performance of composite materials based on resin is better than the powder metallurgy based on copper. The results are consistent with the experimental results. The numerical simulation methods proposed have a good predictive effect on the typical characteristics of friction materials in the process of braking, which provides effective references for preparation and optimization design of friction materials of brake.